With over *699 Million in assets under management, MGAM’s expertise extends across multiple investment categories: traditional safety in fixed income, high cash flow strategies, and growth with income. MGAM investment disciplines emphasize generating current income along with opportunities for capital gains. The process begins with an Investment Planning Analysis. This analysis allows MGAM to understand our clients on a more personal level and discover what is most important to them. During the meeting, we produce a custom investment plan and detailed strategy to meet a client’s goals. McGowan Asset Management Group is firmly dedicated to empowering clients through education. 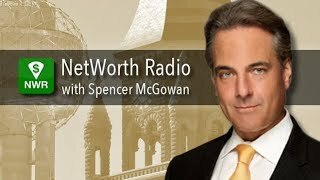 The firm’s portfolio strategies and client education platforms are provided through trademarked NetWorth Radio broadcasts. McGowan Asset Management Group prides itself on delivering consistent and above average results for our clients. Check out our latest performance numbers. Our results speak for themselves and are updated quarterly. Subscribe to the Weekly Advance Report by clicking the button below. We all know there are critical financial steps that should be taken at certain points in your life, but what specifically are they? What should you be doing at 30 to ensure financial stability? What about at 50? Here are twelve important actions you should be taking during key points in your life to improve your financial situation. Financial success takes planning and we are here to help. Call 214-720-4400 to set your planning appointment.